The flashlight of knowledge has already been directed at two of The Elder Scroll Online’s three main political factions, and now the third is getting a little time in the light. We’ve already told you about the Daggerfall Covenant and the Aldmeri Dominion, and today Game Informer is closing out ouroboros with the third faction, the Ebonheart Pact. The alliance that makes up the Ebonheart Pact was first forged after an Akaviri invasion, when the Nords and Dunmer banded together and then cut the Argonians in on the friendliness in order to find safety in numbers. While the Aldmeri Dominion is bent on conquering and ruling, the Ebonheart Pact is really just an attempt to stay alive in a world of invasions and power struggles. 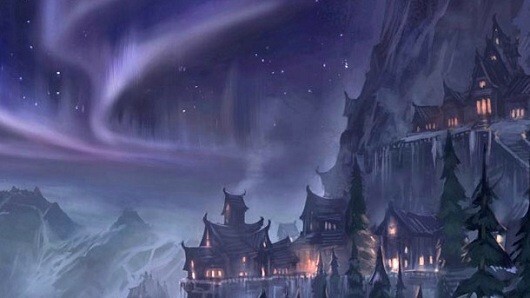 The Dunmer, also called Dark Elves, call the familiar lands of Morrowind home. Skyrim, which a few folks may have heard of thanks to a rather underground game that came out last year, is home to the militant and cold-resistant Nords. The reptilian Argonians, or Saxhleel as they like to call themselves, come from the Black Marsh, also known (by way of total coincidence, I’m sure) as Argonia. They share the area with the Hist, a race of sentient trees, and all matter of poisonous and malicious critters and plants. If you need help keeping all the names straight (the Nords are also referred to as children of the sky, by the way, although apparently that’s an informal title), be sure to read the full profile.